Footwear is often one our favorite necessities to complete a look; it gives us just one more way to express our own unique style. From time to time, we find our shoes getting the short end of the stick as they hide under denim or other denim alternatives. 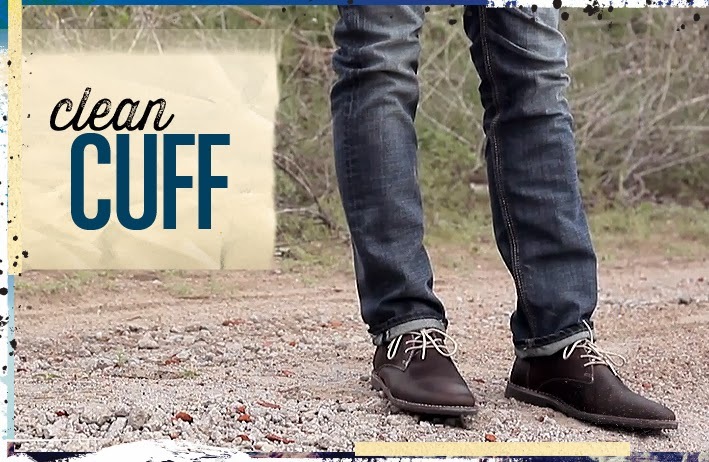 So, the next time you want to show off and expose those kicks, we’ve got a few tricks up our sleeve, remember these three simple words – cuff, tuck, and roll. Get a clean cuff by rolling your jeans once. With this cuff, you can show as much of the bottom opening as you would like, but we opted for a smaller cuff. 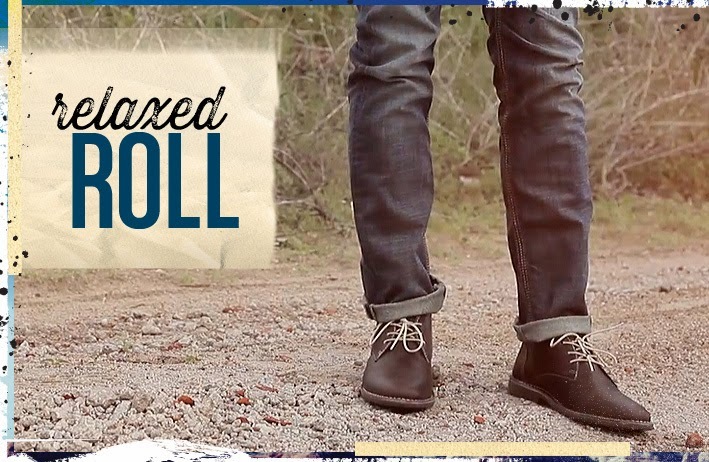 Roll your jeans twice to create a more distinct, relaxed roll and really show off your shoes. 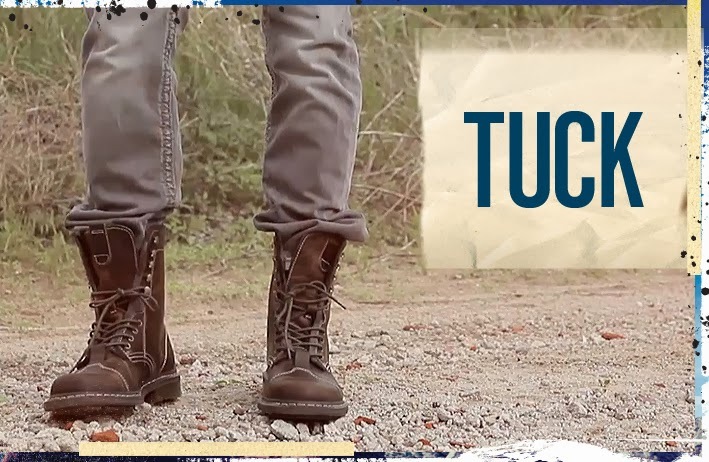 Get the tucked look by tucking your jeans into your boots and give ’em a tug for a relaxed, messy feel. 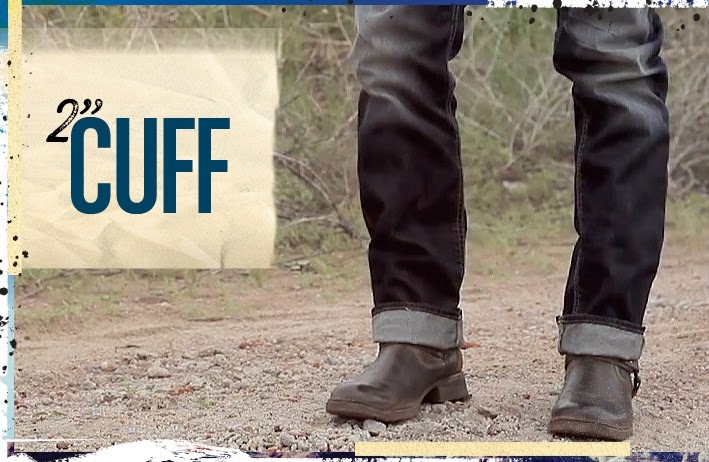 For a 2″ cuff, roll up your jeans two inches to show off all the details in your shoes! Which look do you prefer: Girly or Edgy?